Readers, I need your help. I’ve asked on my social media accounts (twitter and G+, really) a few times for podcast suggestions, but very few came in. Perhaps you have some suggestions? 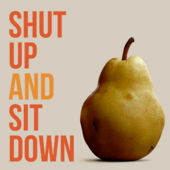 Here’s what I’ve got in my podcast app: Shut Up & Sit Down, The SnakesCast (From Snakes & Lattes), 99% Invisible, and RadioLab. Things I’ve liked in the past, all now over: Out of Character (Pulp Gamer/Seelie Studios), The Sons of Kryos, The Durham 3, and Hudson & Gaines. I’ve also given Welcome to Nightvale and Ken and Robin Talk About Stuff a whirl (even though I’m meh on the Cthulhu Mythos). Commonalities in the things I like: Well-edited, directed/guided discussions with co-hosts or a main host and guests. Or, in the case of 99% Invisible, Serial, and RadioLab: hosts that tell stories. Check out the TEDx Talk with Roman Mars below that shows how he integrates his hosting with pre-recorded bits.